Once a restaurant starts popping up in multiple cities, people start to take notice. The growth indicates a steady demand for whatever the given restaurant’s menu has to offer as well as a profitable business model for the corporation. When these conditions are met, many restaurant (and other foodservice) brands turn to franchising as a method of expansion. However, a significant number of brands decline to go the route of franchising, instead keeping ownership and operation of all locations internal and relying on a corporate team to strategically develop, staff, and support more restaurants. The reasons for this vary, often including wanting to be “protective” of the brand’s trademarks and and operational procedures. When prospective entrepreneurs take notice of a growing brand, they may have aspirations of opening a franchise location of their own to capitalize on the apparent potential. Unfortunately, there is no way to tell from looks alone whether a given brand is actively offering franchise opportunities. Chipotle receives many inquiries related to franchising, but the hugely popular burrito chain is entirely corporately owned and does not offer any franchise opportunities. As cited by Business Insider, Chipotle spokesperson Chris Arnold has plainly said, "The reason we don’t franchise is because we don’t need to.” The brand is satisfied with its current model and prefers not to relinquish control of the brand name without need. Is Dunkin’ Donuts a Franchise? Yes, Dunkin’ Donuts IS a franchise! In fact, there were about 11,000 of them worldwide as of December 2013. There is no denying the extremely high brand awareness of Dunkin and the fact they’ve permeated American culture like few other brands have managed to. However, that success has also enabled Dunkin’ to focus primarily on large development deals, meaning new franchise owners typically have to have a strong management background and must sign on to open a number of stores. There are likely very few opportunities to sign an agreement for a single Dunkin’ Donuts location. In contrast to its competitor Dunkin’ Donuts, Starbucks has only a small number of franchise locations in North America. While there are some additional franchise locations in Europe, Starbucks primarily continues its growth through opening new corporate-owned locations. There are currently over 25,000 Starbucks locations worldwide, an increase of nearly 100% since ten years ago. Though many have tried, domestic franchise opportunities are few and far between, reserved only for special circumstances. Is Five Guys a Franchise? Most of Five Guys’ 1,000+ restaurants (roughly 80%) are franchised. The D.C.-based burger joint took the country by storm starting around 2004, and have few, if any, territories still available in the U.S., having sold out thanks to the brand’s fanatical following, according to Forbes. Bad news for entrepreneurs, but good news for burger fans. With over 2,500 locations in the U.S. a majority of Jimmy John’s restaurants are franchise-owned. And unlike Five Guys and some others, they are not sold out. While we do not have any data on Jimmy John’s franchise owners and how satisfied they are, the brand maintains a strong following throughout the country. Is Smoothie King a Franchise? Growing smoothie bar brand Smoothie King is a franchise system, currently boasting over 800 franchise units in North America. 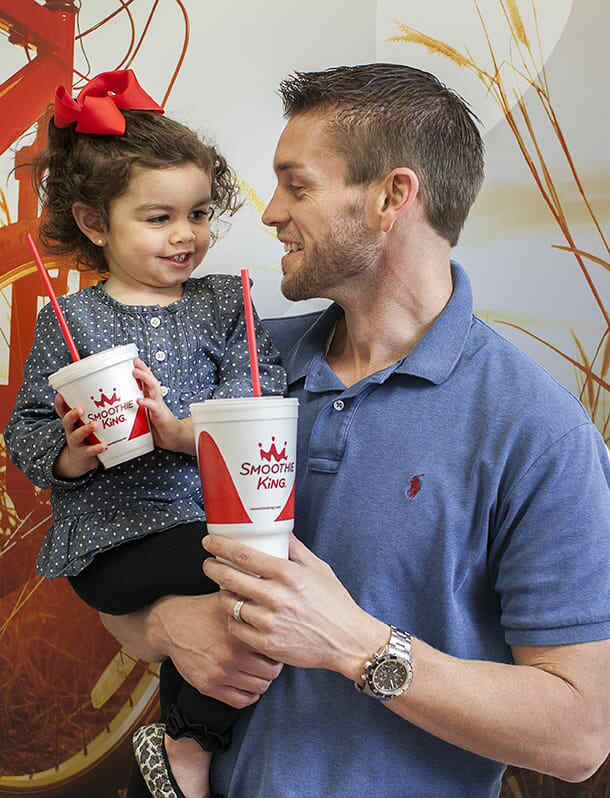 Smoothie King’s growth has been paired with high franchisee satisfaction as the brand was recognized as recently as 2017 by Franchise Business Review as one of the top 200 franchise brands overall. Learn more about being a Smoothie King franchisee in this interview with a husband and wife franchisee team. Is Panera Bread a Franchise? Technically, Panera does franchise. As of February 2016, a little more than half of their locations were independently owned. However, their own website now states that they are only franchising in large, multi-unit agreements, seeking owners who are willing to open 15 or more restaurants. While this may be a smart move for the brand (and indicative of their strong position), it certainly makes them inaccessible to most prospective franchisees. Nationally recognized for its own reasons (the wings, of course), Hooters is in fact a franchise. More than half of the brand’s worldwide 400+ locations are franchise-owned. In 2013, Hooter’s appeared on Franchise Business Review’s Top Franchises for Veterans list. Is In-N-Out Burger a Franchise? In-N-Out has a VERY loyal customer base. Though their restaurants are only present in certain regions of the U.S. their brand is known nationwide. Their famed “secret menu” has inspired many other chains to attempt a similar strategy. However, In-N-Out is not a franchise model. The owners, the Snyder family, have stated that they have no interest in franchising, taking pride in the family brand they’ve been building since the 1950s. The widely recognized diner is a long-standing franchise model, with most of its 1,600+ U.S. locations owned by a franchisee. In 2016, Denny’s was recognized by Franchise Business Review as a Top 200 Franchise overall. The brand continues to award franchises for qualified owners today.